Two decades ago, if you lose your car keys, you can simply get your spare key at home and have it copied in a simply cutting machine in your locksmith. But that was then. Two decades later, there is a different story on how you can get your Ford key replacement San Diego. The fact is, today’s cars come with state-of-the-art car keys. Sometimes these keys are considered to be a system on its’ own because it acts as a security feature to your car and has remote control features to lock and unlock your door. All of these features seem so cool at first. But then when you lose your keys or damage it, that is when you will feel the brunt of it. A lot of people who own cars do not know how much it costs to have their technologically advanced car keys replaced. If you have it replaced in your car dealer, there is a big chance that you will actually have to shell out about twice more than to have it replaced by Locksmith San Diego. The good thing about our locksmith company is that for every service that we render, we offer reasonable prices. We cover services like lost car keys replacement, ignition lock repair, broken key removal and more for prices that are not too steep. 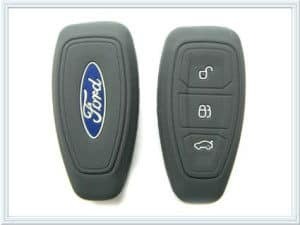 To have your Ford replacement key San Diego may mean some money should be shelled out but you can be assured that apart from being reasonably priced, the quality of the key replacement is of top grade. Even if your car key replacement involves a complicated re-coding of the car’s computer system, we still offer it at prices that are so affordable. The advancement in technology in car keys may be a sign of progress in car security, however it becomes everyone’s’ headache when it gets damaged or lost. Fortunately, 7 Day Locksmith is here to save the day for you and every car owner in San Diego. We are a legitimate car replacement and lock company that can replace or repair your car keys and can re-code all of the digital specifications of your car keys in relation to the computer in your car. All you will have to do is call the company’s number and a technician will be sent to you and fix your car key and door lock problems. To make things even better, our technicians can even make a replacement key right where your car is located. This beats out the hassle of having to bring you car to the dealer by being dragged by a tow truck. All of that for about half the price. 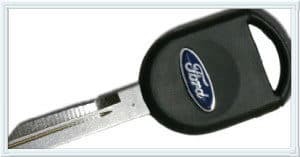 Here is the secret to why Ford key replacement San Diego offers prices that are much cheaper compared to dealers’ prices. It is true that every car locksmith has original copies of car keys in their inventory. But the truth is that they also handle after-market copies of these keys in their storage. The good news is that these after-market keys are just as good as the original keys. There is no telling which is better. The best news is that the after-market car keys cost much cheaper than the original ones. Another cool thing about this car locksmith company is that it carries digital testing equipment that have the ability to re-code the key system and the car’s computer codes. This re-coding system works well if all keys to a car are lost as the codes of the cars’ computer can be used to replace the car keys. Unfortunately, not all people know that there are car locksmiths that are capable of giving services that are comparable and cheaper to those being offered in car dealership. 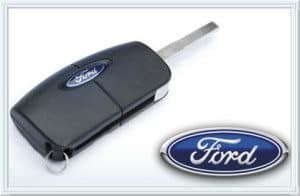 But through word of mouth in the San Diego area, our Ford replacement key San Diego company has been able to service a good number of people in need of car key replacements. Aside from car key replacements, we also offer other types of services like lockout emergency, transponder keys replacements, lock repair and remote fob keys replacement and re-coding. As stated, replacing car keys today is not as easy as say two decades ago. The best locksmiths of today need to arm themselves with the latest and technologically advanced equipment to come up with solutions on how to replace these keys. There is no way to go about it but to go with the times. Then there are those car keys that come with number codes that must be recognized by the cars computer system. When this type of key gets damaged or lost, locksmiths will need some time to replace it, however, our company will not take too much time in doing so since we are one of the few locksmith companies that have the equipment and the technical knowledge to deal with this problem. With this ability, car owners will now know who to turn to knowing that they know the company can deal with the worse car key problem ever. The truth is that every car owner knows that security is a priority when it comes to having their own car. But in these times, the once regular car key has now become a small object that is pact with so much technological advancement. This is the main reason today why only the best, most technologically trained and well equipped locksmith company survive. It has now boiled down to who can keep up with the latest technology in car key replacements. Today you will find car keys in the form of fob’s, remote control keys and keyless entry system. All of these keys cannot be replaced by an under equipped and under trained car locksmith company. However, if you think that your only option is to go to your dealer and spend a fortune on a car key replacement, there are individual key replacement and locksmith companies that can do an equally good job at a more practical price.